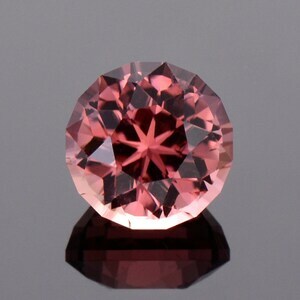 Size: 13.38 x 11.77 mm. 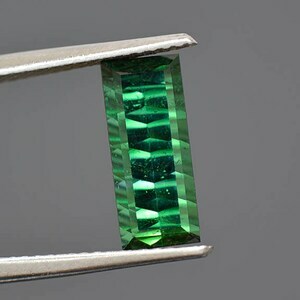 Mozambique produces has produced some exceptional and unique Tourmalines in the past 10 years, and this is certainly one of them. 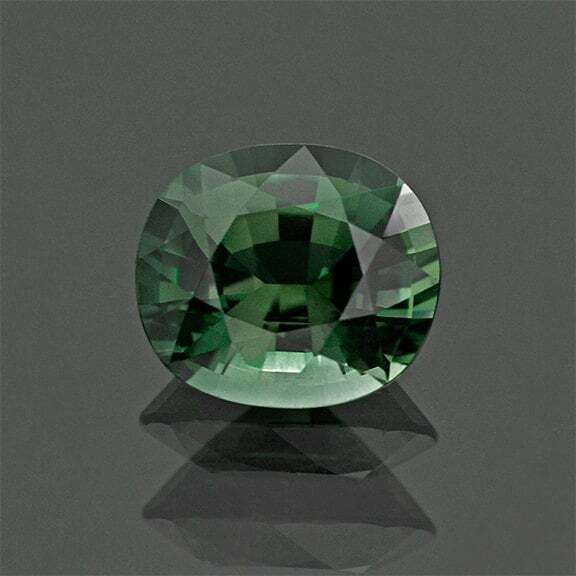 This lovely Tourmaline is a deep and enchanting evergreen color that is quite uncommon for Tourmaline. 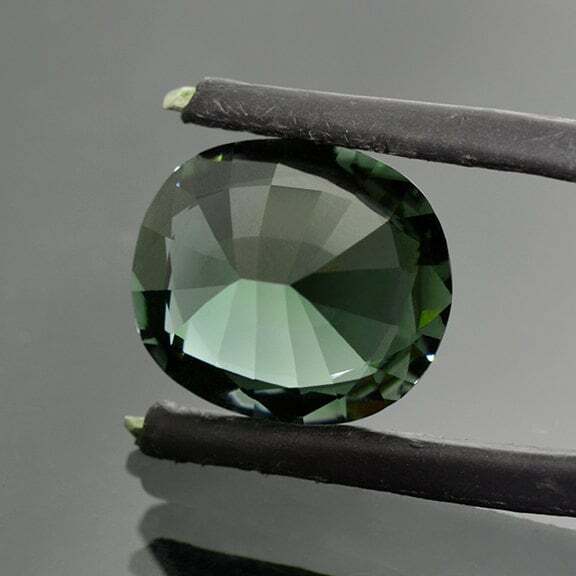 The majority of green Tourmaline has more of a rich forest green color and not this pretty Earth tone. 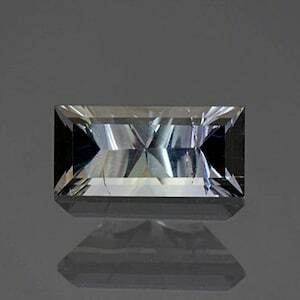 This gem has excellent clarity that allows for great light return. 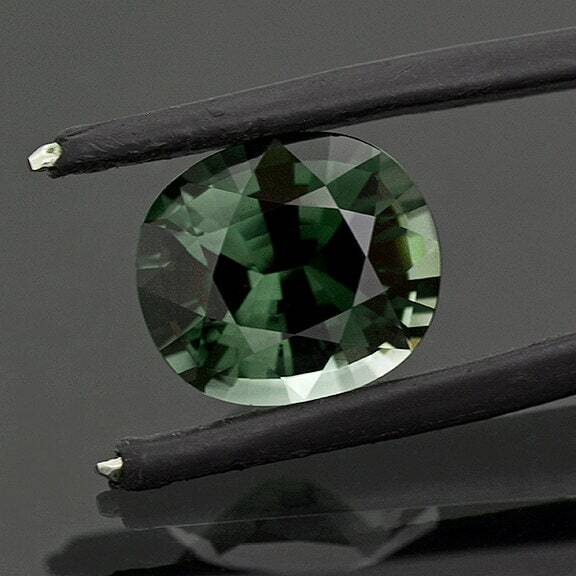 There is just such an enchanting quality to this Tourmaline that is almost mystical. The stone is a great size for a ring or a pendant and will look absolutely stunning when set. Enjoy! 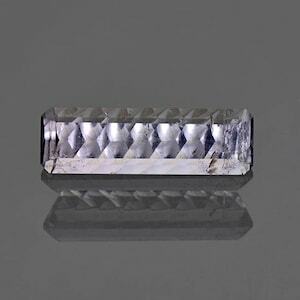 Stunning Silvery Purple Tourmaline Gemstone from Brazil 3.86 cts.